You have reached KazagurumaNet, a personal domain of mine. Look around and enjoy your stay! KazagurumaNet was purchased from int2000.net in 2004. 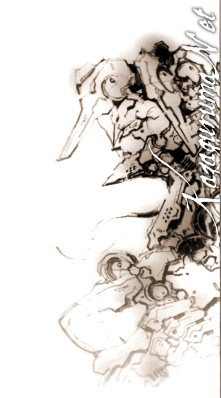 Layout v.01 features the Orbital Frames Ardjet and Anubis in a consept art from the PlayStation2 game Anubis: Zone Of The Enders. Design © me. Don't steal, or I will bite and give you rabies. My weblog, in Finnish. My life on the Internet. Includes everything from bitching to fangirly glee, and everything and anything in between. My LJ, in English. More for keeping in touch with friends, but also a brain dump. Expect pretty much the same stuff as with Prototype. My fan fiction journal at LJ.